Looking to sell your van? Your search ends here! With SellYourVan2Us, selling your van has never been easier. SellYourVan2Us offers a rapid van valuation and quick cash sale service to take all the stress out of selling your vehicle. Selling your van privately may seem like a good option, but the reality can be very different. Why spend money on advertising and waste days, weeks or even months waiting for time wasters who don’t show up or entertaining offers that don’t do your van justice. Until now, the alternative has been selling to the trade trade but it takes time and energy, not to mention nerves of steel, to negotiate the best price. Whatever your van’s value, from £50 to £20,000, SellYourVan2Us will help you convert it into cash in the shortest possible time regardless of make, model, condition, damage or age. How does it work? The answer is refreshingly simple. Just fill out a short van valuation form right here and you will receive a competitive offer within 12 hours, based on the information you provide and current market values. Your SellYourVan2Us quote is FREE and entirely without obligation. If you accept our offer your sale is guaranteed, with a quick and simple completion process and secure payment by BACS transfer straight to your bank account within just five days! SellYourVan2Us is a professional company with many years’ experience in the UK motor trade. We have bought and sold hundreds of vans of all ages, from minibuses to micros, from transits to tow trucks and just about everything in between so you can be sure you are dealing with a trusted and experienced team. 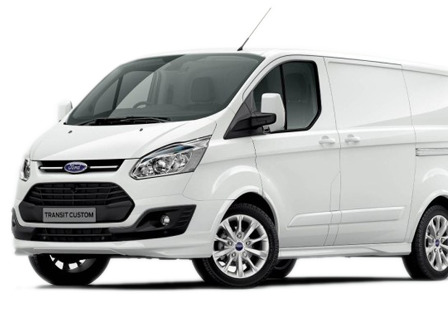 Get the best value for your van in the shortest possible time.